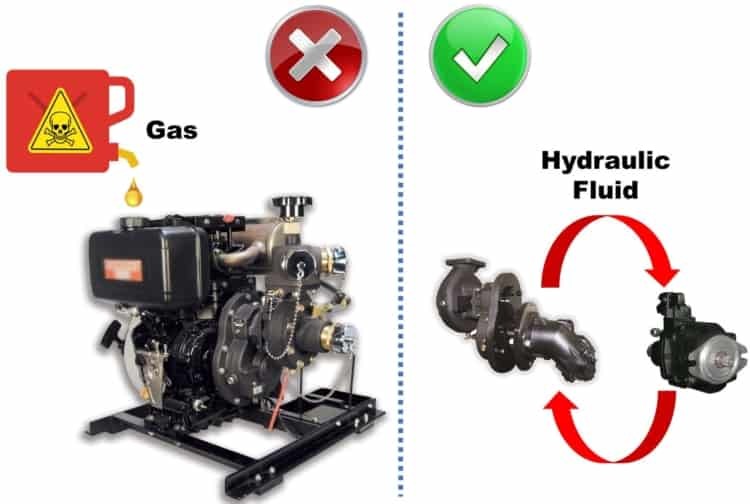 Harrison Integrated Hydraulic Technology allows you to run your on-board equipment USING HYDRAULIC MOTORS, instead of gas engines, diesel engines or electric motors. 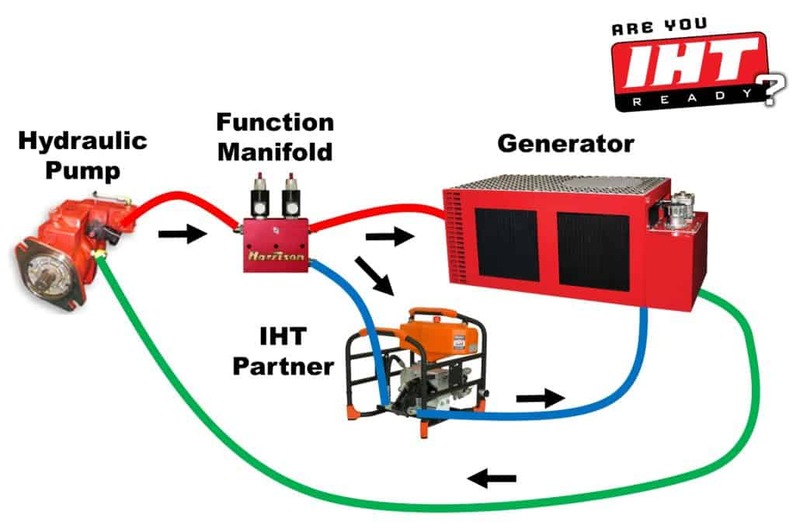 Integrated Hydraulic Technology, or IHT, will allow you to create systems you have never been able to accomplish or build before, from SIMPLE APPLICATIONS to COMPLEX APPLICATIONS, and everything in between. Using small, yet very powerful, hydraulic motors provides enhanced performance, operation, and better packaging by reducing the packaging sizes, ELIMINATING MULTIPLE ENGINES and driving all the on-board equipment using hydraulic motors. Harrison has CERTIFIED PARTNERS with many types of on-board equipment. 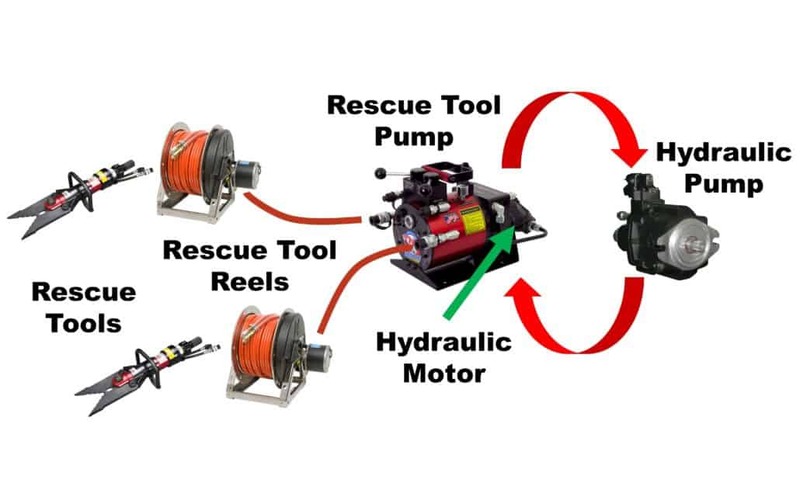 Shown are some of our Hydraulic Rescue Tool Pump partners and some of our Water Pump Partners. 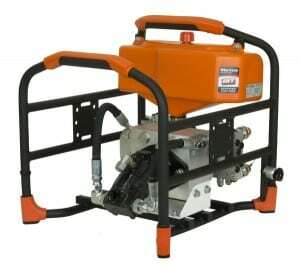 They all offer their pumps with a variety of motors available; diesel engine, gas engine, electric motor and HYDRAULIC MOTOR. 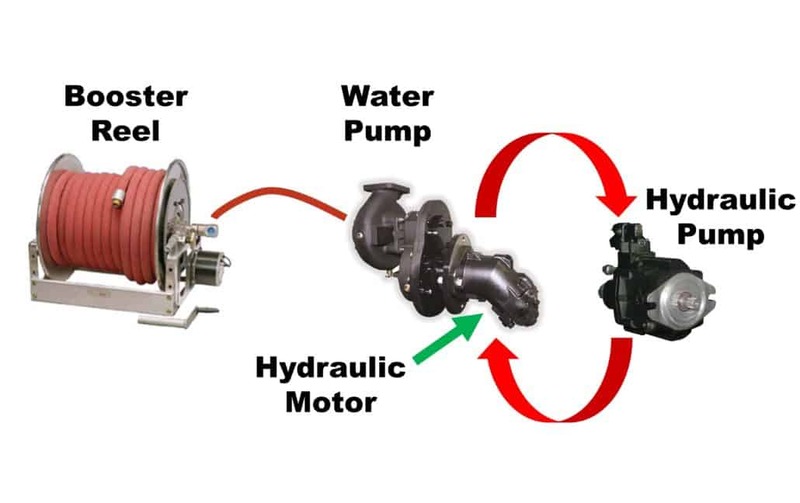 The operation and plumbing of the pumps does not change with the motor chosen. The standard plumbing of reels, tools, hoses and nozzles will remain the same. If you have products that could benefit from being outfitted with a hydraulic motor, contact a Harrison Regional Business Manager. 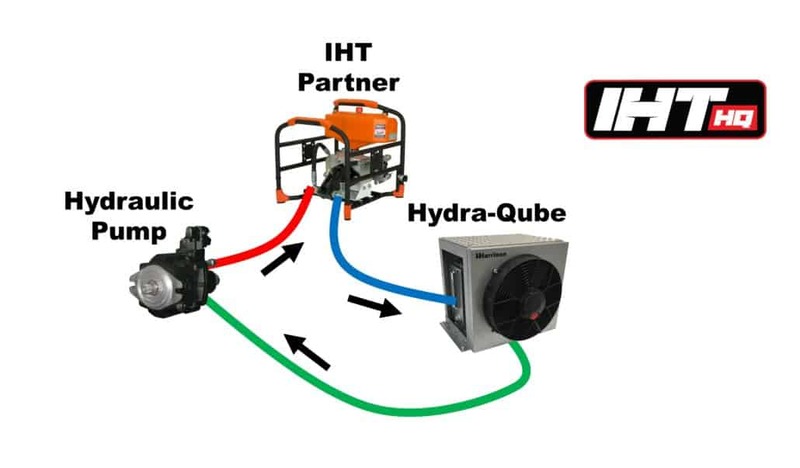 Harrison Integrated Hydraulic Technology is available in two packages; IHT-INTEGRATED and IHT-HQ. Which system works best will depend upon a variety of factors. Is there a Harrison Generator on board? 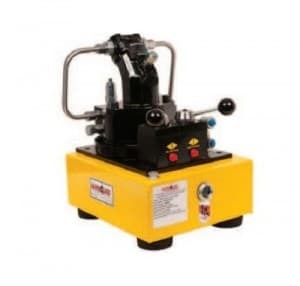 What product are we driving with our hydraulic motor? How many PTO ports are available? What is the desired operation: at idle or at a high idle? The answer to these questions will determine what IHT system we will use. Contact a Harrison Regional Business Manager to determine which system will work best for your application. 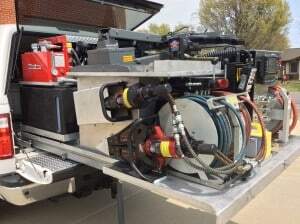 The apparatus shall be equipped with a Harrison Hydra-Gen Integrated Hydraulic Technology System IHT-HQ. The components for the Auxiliary Circuit shall be purchased separately and are not included with the Harrison IHT-HQ system. 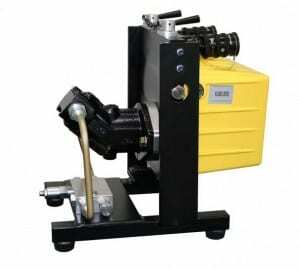 Harrison supplied variable displacement piston pump. Harrison supplied Hydra-Qube (Hydraulic Reservoir and Heat Exchanger system). 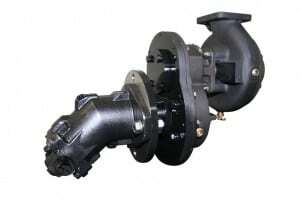 Harrison supplied by-pass solenoid when using piggybacked pumps. There shall be an OEM SUPPLIED switch that when activated shall engage the transmission mounted PTO bolted to the Harrison supplied variable displacement piston pump. 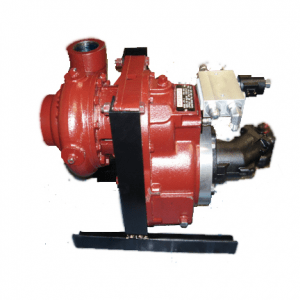 There shall be an additional OEM SUPPLIED switch when using piggybacked hydraulic pumps for the Auxiliary Circuit, that shall only be active once the PTO is engaged and shall activate the Harrison supplied by-pass solenoid. All components of the Harrison Hydra-Gen supplied IHT-HQ system shall be designed and engineered for ease of maintenance and service. All hydraulic filters utilized shall be fully accessible and removable from the top of the reservoir, no exceptions. Only Harrison Hydra-Gen IHT-HQ “Certified” component suppliers shall be allowed to be powered by the Harrison IHT-HQ system. 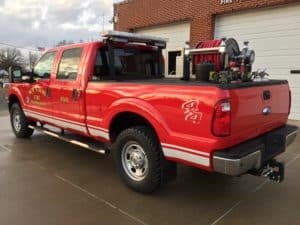 Components that have not received “Certification” from Harrison Hydra-Gen will not be allowed. The Harrison Hydra-Gen IHT-HQ system shall be designed, engineered, and manufactured by a single manufacturer with a minimum of 45 years of hydraulic experience, no exceptions. When properly installed, the system shall be warranted for a period of not less than two (2) years or 2000 hours, whichever should come first. Auxiliary Circuit #1: Harrison Model MDS Generator. 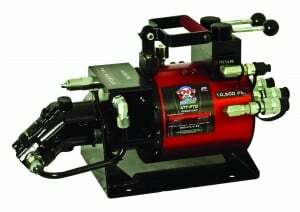 There shall be one (1) Harrison hydraulic single phase 60 Hz 120/240 volt AC generator. The generator model and size MUST be only MDS 6kW, MDS 8kW or MDS 10kW. No exceptions. An electrical instrument gauge panel shall be provided for the operator to monitor and control all electrical operations and output. The meter and indicators shall be installed near eye level in a compartment. Instruments shall be flush mounted in an appropriate sized weatherproof electrical enclosure. The hydraulic engagement supply shall be operational [Generator Interlocks]. The components for the Auxiliary Circuit #2 shall be purchased separately and are not included with the Harrison IHT-HQ system. Harrison supplied Hydraulic Function Manifold. There shall be additional OEM SUPPLIED switches for the generator and for Auxiliary Circuit #2. The generator and Auxiliary Circuit #2 switches shall provide simultaneous or independent operation for each circuit. All components of the Harrison Hydra-Gen supplied IHT system shall be designed and engineered for ease of maintenance and service. All hydraulic filters utilized shall be fully accessible and removable from the top of the reservoir, no exceptions. Only Harrison Hydra-Gen IHT “Certified” component suppliers shall be allowed to be powered by the Harrison IHT system. Components that have not received “Certification” from Harrison Hydra-Gen will not be allowed.